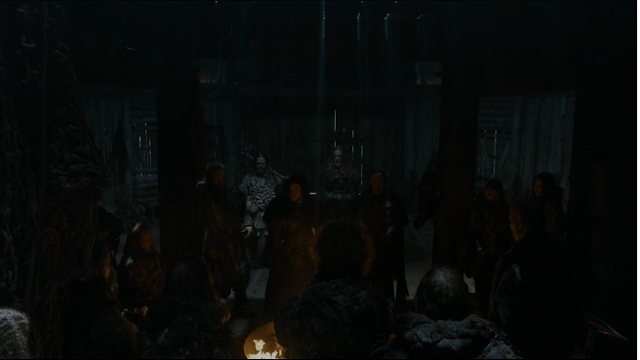 Watching the current plight of Paige in the WWE Divas division, one can draw some parallels to the trials and tragedy Jon Snow faced in the just-ended season 5 of Game of Thrones. 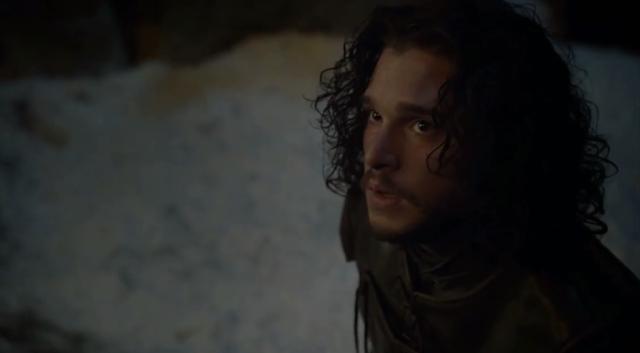 On Game of Thrones, Jon Snow, one of the few truly heroic characters on the show and newly appointed Lord Commander of the Night's Watch, tried to do what his brothers in the Watch considered unthinkable: unite the Night's Watch with their arch enemies of a thousand years, the Wildlings, in the wake of the impending invasion by an unstoppable foe: the White Walkers. With the best of intentions, Snow tried his best, and he failed. Worse, the Night's Watch betrayed him and ended his watch brutally; in fact, the coup de grace, was delivered by Olly, Snow's steward. In WWE, Paige, herself a raven-haired Brit who could be described accurately as "a pretty crow" like Snow often is, finds herself in a similar predicament. Since the retirement of Paige's frenemy but best partner AJ Lee, the Divas division has been completely controlled by the Bella Twins, Brie Bella and the reigning Divas Champion Nikki Bella. They're the White Walkers of this scenario, the unstoppable foe. Try as Paige has, regardless of her talent or desire, she has simply been unable to overcome the numbers and trickery of the Bellas and their Twin Magic. This past week on RAW, Paige did something similar to what Jon Snow tried on episode 8 of Game of Thrones, "Hardhome": she tried to unite the other Divas to join her against the Bellas. Like Jon Snow when he traveled to Hardhome north of the Wall to plead his case to the Wildlings, Paige faced ingrained hostility, mistrust, and disrespect. Like Jon Snow, despite a logical rationale and the best of intentions, Paige failed. And like Jon Snow, who immediately faced the overwhelming onslaught of the White Walkers and lost a devastating battle, Paige immediately battled both Bella Twins on RAW. The two Bellas defeated the lone Paige. And just tonight on Smackdown, Paige, facing Brie Bella one-on-one, was defeated once again when she was betrayed by "her Olly" Alicia Fox, who as we've seen on Total Divas, is actually one of Paige's best friends. Poor Paige deserves better. Just like poor Jon Snow deserved better. Luckily, Paige can live to fight another day. She can learn from Jon Snow's example and with luck (and maybe some help from someone or somewhere) find a way to defeat the Bellas once and for all and regain the Divas Championship*. Then no one will be able to say, "You know nothing, Paige." *To be clear: I'm a huge fan of both Paige and the Bellas.